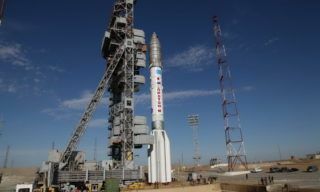 Proton-M with Russian communication satellite Express-AM8 will be launched on Monday evening, September 14, - Roscosmos representative stated. 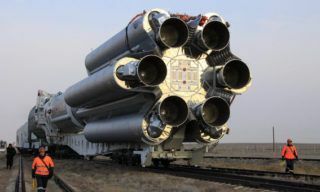 Russia plans to launch 12 boosters in the next three months, - spokesman for Rocket and Space industry reports. 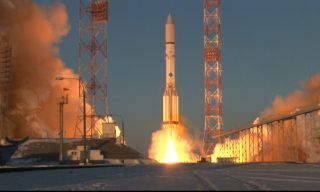 At 15.31, Moscow time, February 01, 2015, rocket and space industry launching crews of Baikonur spaceport successfully launched Proton-M booster with Briz-M upper stage and inmarsat-5F2 space device from #200 launchpad of Baikonur. 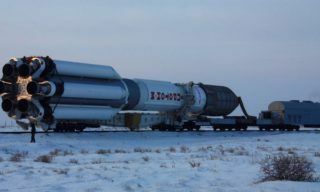 According to the decision taken by State Commission Proton-M booster with Briz-M upper stage and Inmarsat-5F2 (Great Britain) telecommunication space device was rolled out to the launching pad of Baikonur spaceport. 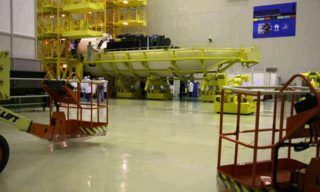 The specialists go on with preparation works for the launch of Inmarsat-5F2 space device manufactured on the order of Inmarsat (Great Britain) satellite communication operator scheduled for February 1, 2015. 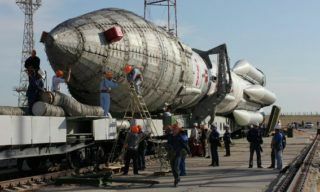 The initial weight of the space device will amount approximately to 6 tons. 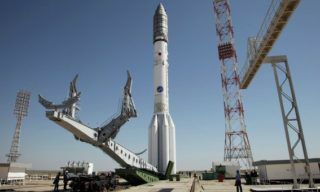 Inmarsat 5F-2 telecommunication satellite was delivered to Baikonur spaceport for the preparations for the launch, - Khrunichev Centre reports. 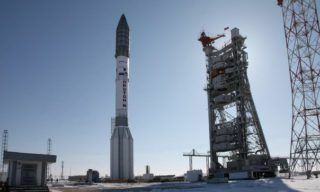 Luxembourg SES Company plans to launch telecommunication device from Baikonur spaceport according to the plan, Yves Feltes company press-office representative reported. 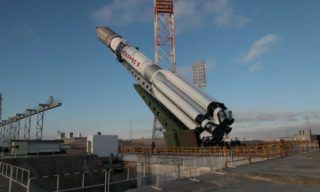 British communication satellite InmarSat 5-F1 separated from Briz-M upper stage and was placed under the management of the ordering party, - Roscosmos representative reported. 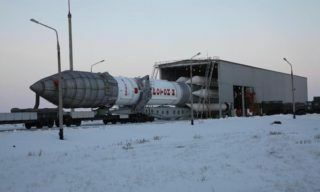 Following the decision of State comission, on December 5 Proton-M launch vehicle with Briz-M upper stage and Inmarsat 5F-1 communication satellite was rolled to and installed on the launch pad of Baikonur spaceport's site 200.